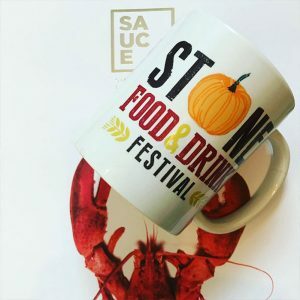 With only one week to go until Stone holds its 13th annual food and drink festival, excitement is starting to build in the town. Every year during the first weekend in October, the Festival draws thousands of local residents as well as visitors out onto Westbridge Park come rain or shine to enjoy great food and drink, live music, kids’ cookery classes, circus workshops and shows, face painting and craft activities. The gates will open at 12 noon on Friday 5 October, but there are events and offers on at venues across town from Friday 28 September – check out the Festival programme for details. There will be a park and ride service operating from Aston Marina, with the site open from 10am to 5pm on Saturday and Sunday and the regular monthly farmer’s market taking place on Saturday too. 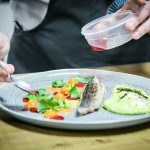 If you’re quick you might still be able to join one of the masterclasses that are running: knife skills for fish with Stafford College lecturers Richard and Tom, cupcake decorating with Beth Lauren Cakes, or food for health with RAWR’s Gemma Bloor. The Demonstration Kitchen will play host to a variety of chefs, from Little Seeds’ Jake Lowndes and No. 26 at Aston Marina’s Mark Rawlinson to Robert Didier, founder of Orchard Pigs, and Zalena Vandrewala of Rose Petals & Rice. Meanwhile there will be plenty of talks and tasting sessions going on, as well as street food, a pop-up tea room, the Staffordshire Beer Garden and champagne and cocktails to enjoy. 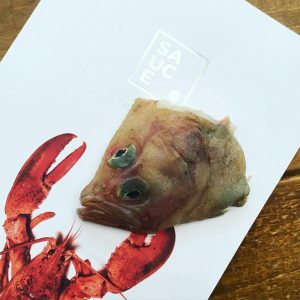 If you’re visiting, don’t forget to pop by Sauce’s stand to say hello or pick up your free copy of the magazine. In it you’ll find our full interview with Richard Stevens, Chairman of the Festival and all-round champion of the Staffordshire food and drink scene, who explained how the event is put together and why it’s so important to the town. Concentrating on local producers wherever possible, encouraging them and watching them go from strength to strength is one of the great pleasures of being involved as far as Richard is concerned. “Lymestone Brewery is a great example,” he says. “We’ve been there from the very beginning supporting them and they’ve supported us. Seeing people like Lymestone grow and grow is very pleasing for us. I could name half a dozen others, but Beth Lauren Cakes is another perfect example. She started trading with us having been baking cakes at home, and that gave her the confidence to think she could make a living out of it. Now she’s got a fabulous shop in Radford Street and the café next door. A whole roster of celebrity chefs have graced the cookery stage at the Festival over the years, from Gino d’Acampo to Anthony Worrall-Thompson and Paul Rankin, but there’s one in particular that Richard recalls with pride. Although Mary isn’t likely to be in attendance, there will be plenty to see, do, buy, eat and drink at this year’s Festival – we look forward to seeing you there! If you haven’t already laid hands on one, make your way to one of our stockists pronto to pick up Sauce Autumn/Winter 2018. 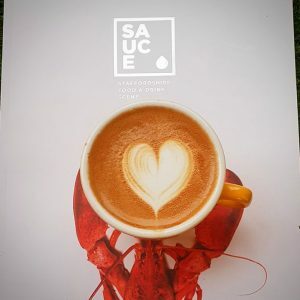 Yes, the second edition of Sauce magazine is now out and available at cafés, restaurants, pubs and shops across Staffordshire. 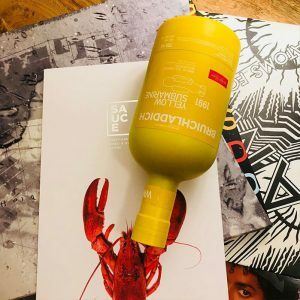 This time around, you need to look out for the lobster! To give you an idea of what to expect, this issue is even bigger and – some might say – better than the first. Of course we have our regular reviews and recipes, along with introductions to some award-winning Staffordshire-based producers, from Seed Chocolate to The Good Life Meat Co. The spotlight is very much on the Stone Food & Drink Festival (5-7 October) in our interview with chairman Richard Stevens, while our Town Focus takes us up to Leek, a thriving little market town in the northern reaches of the county. We had the pleasure of speaking to some fantastic foodies for this edition, from MasterChef finalist Louisa Ellis to Andy Watts, executive chef at Weston Hall. 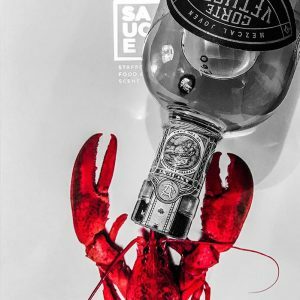 We’re whetting appetites with features on the glorious seafood being served up at The White Lion in Knighton, the American-inspired delights on offer at Smoke & Rye in Stone, and the Indian culinary wizardry of the Viceroy at Milford. Plus there’s an exclusive behind the scenes look at The Moat House at Acton Trussell as the venue celebrates its thirtieth anniversary this year. As ever, we hope you’ll buy a little something when you pick up your copy of the magazine to support our fantastic local food and drink scene. And, once you’ve read the magazine, we heartily encourage you to get out there and try the dishes and destinations for yourself, let them know you saw them in Sauce, and even post a quick photo tagging in @staffordshiresauce. If you’re interested in stocking Sauce or featuring in the Spring/Summer 2019 edition, contact team@staffordshiresauce.co.uk. We’d love to hear from you. Smoke & Rye need your help to fund an exciting move to new premises with outdoor areas, event spaces and a separate bar for guests to enjoy. 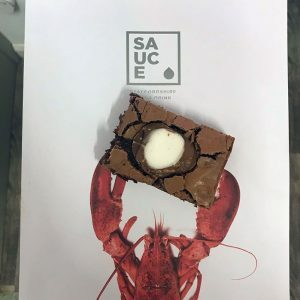 If you’ve picked up a copy of the latest edition of Sauce, you’ll have seen our feature interview with entrepreneur, chef, founder and owner of Smoke & Rye, Stoke-born Rich James. In it, we told you to keep your eyes peeled as Rich announces plans for the next chapter in the story of Stone’s favourite American restaurant, which has been serving up mouthwatering meals inspired by the varied cuisine of the States for just over two years now. Food fanatic Rich paid to set up the restaurant in its current location above Oatcakes & Milkshakes on Stafford Street from his own pocket. Now he’s looking for help from the public to enable the transition to a new premises where he and his team can take the business to the next level and expand the Smoke & Rye offering. The campaign is aiming to raise £50,000 by 27 October 2018. 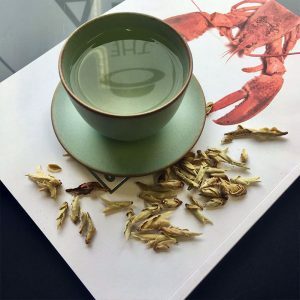 Smoke & Rye’s Kickstarter page explains more about what Rich is hoping to achieve and what the funds will go towards. But you’re not being expected to part with your hard-earned cash for nothing. If seeing Rich realise his dreams isn’t enough, for £15 you can get your hands on a limited edition recipe book with a selection of house favourites. Pledging just £35 will get you into an exclusive masterclass to learn cooking techniques, cocktail making or butchery with a professional – with lunch included to boot. There are plenty more options to choose from, including private club membership for £1000, which grants exclusive use of the new events space and VIP lounge every Tuesday evening, free room hire for meetings, networking, seminars and presentations, 12 member-only events throughout the year, and 10% off for yourself and a guest for the duration of your membership. And if you’re planning to get hitched next year, take a look at the ‘Outlaw Wedding Breakfast’. For a pledge of £6000, you and up to 70 guests can enjoy a mouthwatering meal and take over the whole events space for your celebrations. Make your pledge on Kickstarter now or contact smokeandrye@gmail.com for more information. 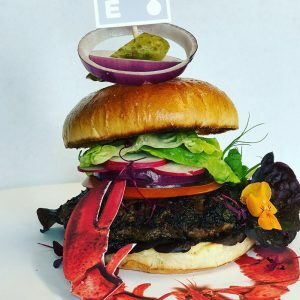 It’s time to get excited, because the opening of these new Staffordshire food and drink destinations has recently been confirmed. Work is underway at this very moment to transform what used to be the first class lounge at Stoke train station into the newest ‘bod’, with access from both Platform One and the pavement on Winton Square. Due to open its doors to the public on Monday 8 October, the café and craft ale bar will open early in the morning serving breakfast and coffee. From lunchtime until late in the evening commuters and locals will be able to enjoy award-winning ales along with their food. Burslem-based Titanic Brewery, who also own seven pubs across the county, opened their first bod in Weeping Cross near Stafford in a former Co-op store earlier this year. Titanic are also looking to create a third branch of bod at Trentham in the former NatWest Bank premises on Longton Road. Their planning application has been submitted to Stoke-on-Trent City Council, so watch this space. A new fine dining Indian restaurant, Blanc NRI, is set to take over the former Bengal Lodge building on the A34 near Tittensor. Blanc NRI will be the second restaurant from Husban Ahmed, the 31-year-old chef behind the award-winning James Dahl restaurant in Birmingham’s China Town. Ahmed worked at the Bengal Lodge as a teenager and has described how taken he was by the “love and support of the customers who came in and used the restaurant”. Now he’s opening his own sleek and modern new restaurant in the space, which has undergone extensive interior and exterior renovation over the last few months. In terms of cuisine, Blanc NRI is promising vibrant and flavoursome Indian dishes blended with the fine dining ambience of France or Dubai. BEAR announced earlier this month that an opening date for their new Stone location has been set for Thursday 1 November. 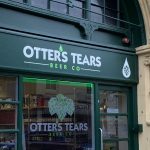 As we noted in the autumn/winter edition of Sauce (available now – see our list of stockists for details of where to get your copy), local entrepreneurs Craig Bunting and Michael Thorley opened the first branch of BEAR on Uttoxeter High Street in January 2016, followed by a second in Derby at the end of 2017. The team are now busy converting the former HSBC bank at 57 High Street, Stone, into a new coffee house, kitchen and bar after their change of use planning application was approved. 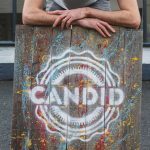 They’ll be serving up a heady mix of sustainably sourced coffee, seasonal fresh food, cocktails and craft beer from the freshly refurbished premises. A peaceful lane just outside Middleton in the southeastern corner of Staffordshire is where you’ll find Forage at Coppice. Founded in 2012 by the Smith family, Coppice has grown to become home to The Fig & Olive restaurant, a florist, a spa and a homeware shop. The newest addition to the Coppice offering is the Forage Food Hall. 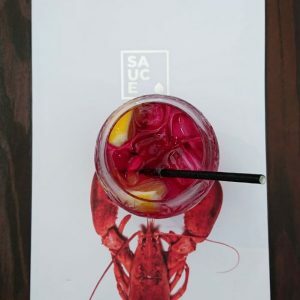 While the doors to Forage opened for the first time on Wednesday 6 June, Sauce went along to join the team for their grand opening on Saturday 30 June. 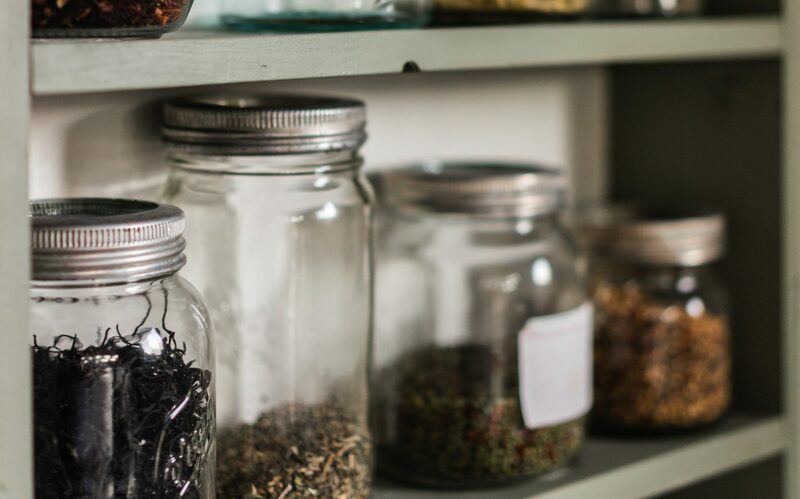 Born from a passion for great food and drink – one which we very much share here at Sauce – Forage has been set up with the aim of assembling under one roof some of the finest fresh produce from across Britain. With plenty of fabulous suppliers in store, you will be able to taste some delicious produce and learn the perfect accompaniments to dishes. There were over 20 suppliers in attendance from both Coppice and Forage, offering samples of everything from artisan baked goods to free range meats, unusual cheeses and seasonal fruits. There was also a butchery demonstration in front of the in-store dry-ageing cabinet. Visitors to Forage can take home fine food and drink from passionate local producers and enjoy freshly made goods from the Butchery, Bakery and Deli counters. As well as a vast array of wines, spirits and ales, fresh fruit and vegetables, cheeses and cut meats, there’s also beautiful patisserie from The Patisserie Box of Cheltenham, and freshly baked artisan bread from The Bread Collection at Knowle. Representing Staffordshire in the food hall are producers including R W Leedham & Son at Syerscote Manor. Their flock of 200 Lleyn x Suffolk sheep are crossed with Charolais rams and fed a home-grown mix of oats, barley and beans before being put out to pasture to produce excellent lamb, available from Forage. You’ll also find great quality meat from Packington Free Range at Barton-under-Needwood on the butchery counter. 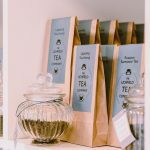 The Mercer family’s low density, environmentally conscious approach to farming and high welfare standards have earned their products a reputation for quality that extends well beyond Staffordshire’s borders. Well worth a visit if you are a fan of fresh produce and fine dining, Forage at Coppice is open Monday to Friday 9am to 7pm, Saturdays 9am to 5.30pm and Sundays from 10am to 4.30pm. The latest independent business to join Hanley’s burgeoning food and drink scene is Mart’s Brewhouse & Tap on Piccadilly. Right in the heart of the Cultural Quarter and directly opposite The Slamwich Club, which opened just a couple of months ago, Mart’s Brewhouse welcomed us with floor-length windows and a great atmosphere for its launch night on 22 June. Sauce grabbed a few minutes from a very busy evening with Holly, who launched Mart’s Craft Beer with husband and head brewer Will back in January 2017. Originally a venture between Will and his brother, the name is in memory of their late dad. Inspired by a trip to New York six years ago, where the craft beer scene had recently exploded, Will and Holly couldn’t find anything similar back home in Stoke-on-Trent, and so began to brew their own ales at home. They later graduated to a 1000 litre kit in an industrial unit in Knutton, selling at makers’ markets and local outlets like BottleCraft, Klay and The Hopwater Cellar while still working full time. “The Brewhouse and Tap was just a tiny idea we had that we thought we’d do eventually – it’s happened quite a lot quicker than we thought it would!” says Holly. Holly and Will brought Jason Barlow and Sue Grocott on board with the new venture, bringing an invaluable 20 years of experience in running bars and keeping a good cellar. Call in and you’ll be faced with a choice of 8 cask ales as well as craft and continental beers – not to mention a selection of gins and wines. With a fresh but traditional pub feel and windows directly onto the gleaming brewery in the downstairs bar area, it’s taken a great deal of hard work to transform the building, which was empty for around four years. Most recently it housed Club International, but it seems the bold colour scheme was inherited from one of its previous incarnations as a tapas restaurant. Going from a one barrel to a barrel brewery means the team will be able to keep the five core brews on the go – a pale ale, an IPA, a marzipan stout, a porter and an IPA brewed with tea – while also allowing room to be more adventurous. Although a kitchen is not on the cards in the near future, customers are welcome to order from neighbours like Klay and Slamwich Club and eat while they drink – a great example of local businesses supporting each other. Plan are in the works to build a stage on the spacious first floor to host live bands, comedy nights, acoustic sets and so on. Brewery tours and brew-your-own masterclasses are also in the pipeline. While Will’s looking forward to brewing on the new kit for the first time this week, the team are also keen to support other budding home brewers having fun with their own creations. The winner of a Potteries Home Brew Club competition will be along in August to brew his winning beer on the Mart’s kit.